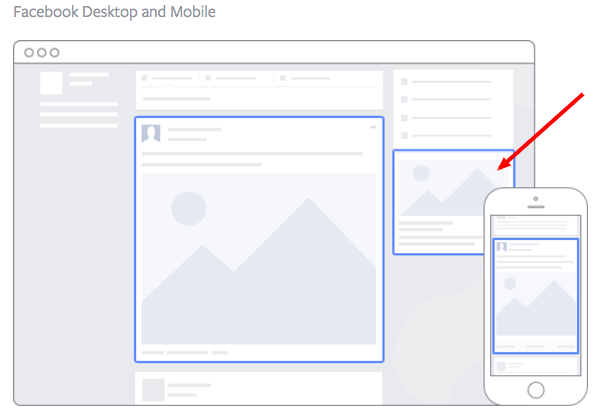 Getting your Facebook ads right seems like a daunting task – but it doesn’t have to be! With a little bit of research, you can get the perfect formula for Facebook ads down to a science. The first step in mastering Facebook ads is figuring out which ads perform best, how to use different ads and placements and when they make sense to use. 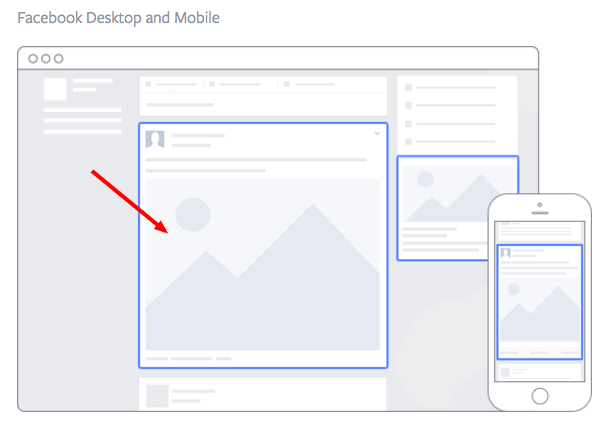 So let’s get started and learn more about the 5 types of Facebook ads that can grow your ecommerce store! 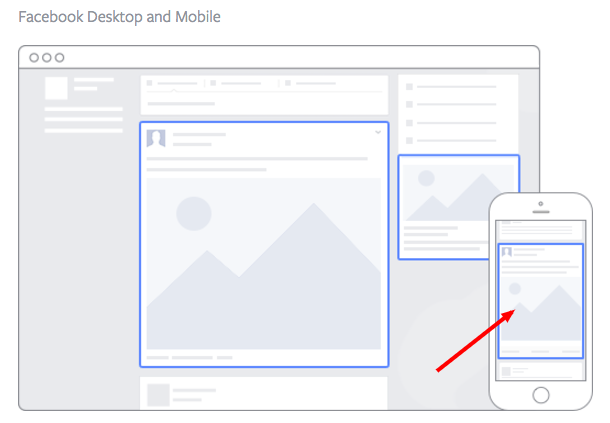 This is Facebook’s bread and butter for advertising and is the traditional location for Facebook ads. As the name would suggest, it appears on the right side of a user’s Facebook News Feed. Though ads that appear directly in your Facebook News Feed are likely to get higher engagement due to its native advertising features, right column ads should not be overlooked! This is because oftentimes advertisers see less expensive clicks and conversions when using these ads. This is the highest converting and most-engaged-with type of ad and it appears directly in a user’s News Feed. On account of these ads having a higher engagement rate than right column ads, they can also be more expensive. These ads must follow organic Facebook posts best practices and be both engaging and visual to drive optimal traffic back to your ecommerce store. Similar to the desktop News Feed ad, this type of ad appears in the user’s mobile News Feed and displays like an organic post from people and pages that they follow. Multi-Product Ads are an incredible feature for ecommerce businesses. They allow advertisers to showcase multiple products within one ad. Viewers can scroll through the images and click on individual links to each product. You can promote multiples of anything, not just products — different blog posts, ebooks, webinars and more. Video Ads appear in a user’s New Feed and offer more engaging content than static, single image ads. Plus, with 8 billion videos being watched on Facebook every day, it serves as an interesting and engaging opportunity to connect with potential customers and fans! According to Adobe, shoppers that view videos are 1.81X more likely to purchase than non-video viewers. Needless to say, video ads are a powerful tool to have in your arsenal. You know when you visit an online store and you’re checking out a great product only to decide that you’re going to think about it and come back later when suddenly, three websites later, you’re being shown an ad for the product you were eyeing? That’s retargeting. It’s a bit creepy, but also incredibly useful in reminding potential customers of your product and keeps you top-of-mind! In fact, website visitors who are retargeted by ads are 70% more likely to convert on your website. A great feature that Facebook offers is the ability to put money behind the content you post on your Facebook page. Organic reach is unpredictable on Facebook, so boosting your posts guarantees a degree of visibility for posts you find important. Boosted Posts have a higher chance of being seen by people who have Liked your business’s Page, and whenever someone likes or comments on a boosted post, it can appear on their friends’ News Feeds giving your business exposure to new audiences and customers. It’s definitely a great tool to utilize in promoting content that you’ve created to leads back to your ecommerce store. Each type of Facebook ad has its own purpose and goal to helping your ecommerce store grow its brand and increase sales. If you need any help deciding how to best utilize each type for your store feel free to reach out, we’re always here to help!